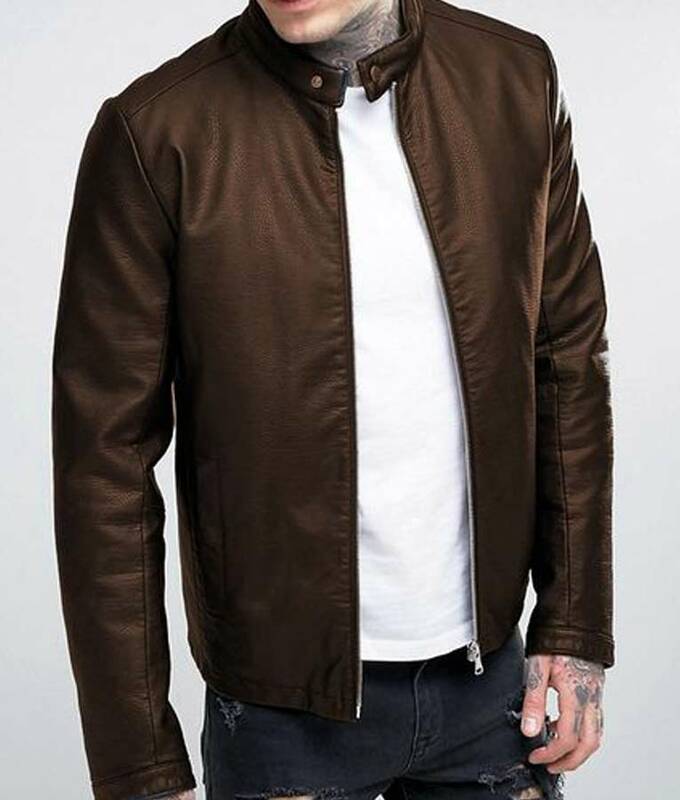 This riveting brown attire is a fine depiction of elegant styling and fabulous craftsmanship that is generously comprised to deliver a fine masterclass. This Casual Brown Leather Jacket is a précised fabrication to give you graceful resounding looks. It is flawlessly comprised from pure quality leather which gives it unique fabulous look, whereas the inner side is encompassed with gentle viscose lining. The collar is also crafted with inventive stand up snap tab design which makes this Jacket class Brown Casual For Men apart from others. 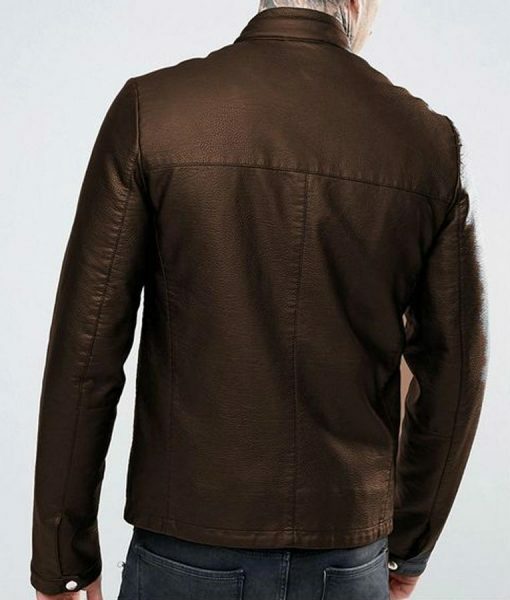 The front conclusion is made with zipper fastening and attire is contrasted with dark brown color.